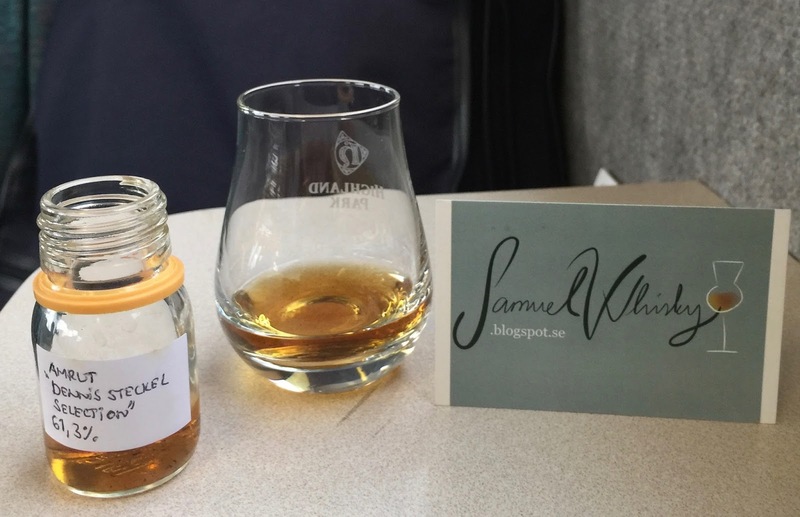 Amrut Raw Cask 61,3% ABV – Dennis Steckel Selection!!! Dear friends and followers alike! When working the Örebro Beer and Whiskyfestival about a month ago I passed by Clydesdales stand to have a chat with Dennis Steckel, the superfan of Amrut and founder of Amrutfever, to see what he had up his sleeve. All I know about this whisky is that it has been finished in a sherry cask and that it has had almost no filtration at all, Raw Cask in it's essence. There are only 163 bottles available worldwide, and out of these around 50 are reserved for Sweden where it will be released at the state monopoly tomorrow (the 18th of December 2017). You can view the product here and order it here. Very sweet and absolutely boasting of dark raisins, vanilla sweetness, vanilla creamyness and big/fat honey (light non-liquid honey). Also, there is a quite evident wood-yness but it sits very close to all the vanilla stuff so it does not really come across as being youngish. There is however a slight touch of yeast and/or new make in the distant, but, with thanks to the greedy angels this is all in the background. Above the woodyness, and encapsulating it, is a beautiful scent of very creamy orange peel that has a perfect sting of nutty and/or almondy alcohol to it, absolutely beautiful! 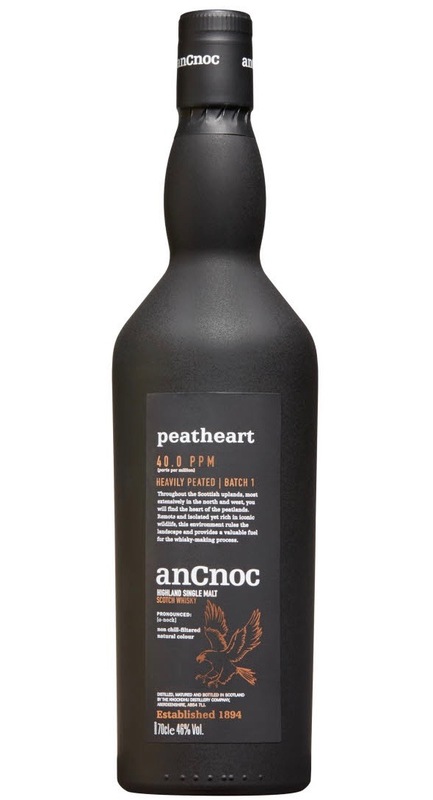 Peated anCnoc – Peatheart Batch 1 46% ABV! Dear friends and followers alike! 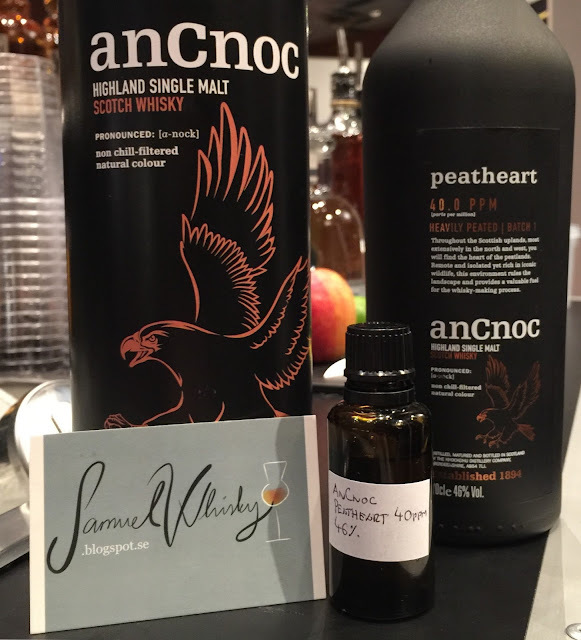 When working the Borlänge Beer and whiskyfestival a couple of weeks ago I passed by the stand of Berntsson Brands to see if there was anything that their Brand Ambassador Martin Tjäder wanted me to review for them, and of course there was, their all new anCnoc Peatheart Batch 1 in which the barley has been peated to 40ppm. Please feel free to read all about it by clicking here. Here in Sweden Peatheart will be launched at the state monopoly tomorrow and you can view the product by clicking here. Ok, let's see what we have here! This is definitely the most mature and "calm" peated anCnoc I've tasted so far (counting in it's big blast of peat in the beginning of the taste contrary to the nose). Given the dryness and very slight touch of vanilla there seems to be quite a lot of 2nd-fill bourbon casks in the mix, which I must say that I like since it really lets the house style of peated anCnoc come to the fore/front of the taste👌Big thanks to the people at Berntson for the chance to review this one and to be able to taste it before its release, Sláinte!